CES 2016 came up with lots of new devices, MWC 2016 is going to start in few days. We are getting just warmed up for all the tech happenings this year. Lots of devices are getting released and it’s getting hard to keep track of all the devices launching in the market. CES 2016 was mostly clouded by electric cars and Virtual reality headsets. There are many news on the internet about the devices that will be introduced in MWC 2016. You will see the latest from Xiomi, Asus, HTC, Sony, and Samsung. But on this page, we have bought you the wallpapers which are getting shipped with the new devices. You will love these refreshed wallpapers, it is easy to use them. Just download and set them as wallpaper at your disposable. Galaxy S7 and S7 Edge wallpaper: Samsung has launched Galaxy S7 and S7 Edge at CES 2016. They have already proved themselves the best Android phones for Year 2016. Download Samsung Galaxy S7 Edge wallpaper. HTC One M8 wallpaper: HTC has recently launched their Flagship HTC One M8, packed with a Quad Core 2.3 GHz Krait 400 CPU and Snapdragon 801 GPU. This is one of the most powerful devices around. Beside that 3GB RAM and 5inch Full HD display. The Ultra pixel technology is a crap to keep customers away from the real powerful lens. HTC One M8 is preloaded with 18 wonderful full HD 2160X1920 pixel wallpaper. LG G Pro 2 wallpaper: LG is doing pretty well with their Android devices now, Nexus 4 and Nexus 5 proved to be of great help and they are confidently launching new devices by recognizing the emerging market needs. LG has introduced LG G Pro 2 Phablet which is powered by a 2.26 Krait 400 Quad core CPU and Snapdragon 800 GPU. It has a 5.9 inch Full HD display [1080X1920] But the 20 wallpapers are colorful and vivid with a 2060X1920 resolution. Galaxy S5 Wallpaper: Samsung has recently introduced its new Samsung Galaxy S5 and they have not made it awesome this time, just a few enhancement and fingerprint scanner. But still its a flagship device and many people are searching to download the wallpaper, ringtones, and apps. Wallpapers are with 2160X1920 pixel resolution and the portrait is 1080X1920 which makes it full HD. There are lots of colorful wallpapers you may choose from. Sony Xperia Z2 wallpaper: Sony Xperia Z2 is an awesome device and launching with Galaxy S5 in the MWC 2014. The live wallpaper was awesome and Stock wallpapers were simple and elegant. LG G Flex wallpaper: LG Flex is another Flagship device from LG but it has a curved screen. The wallpapers were HD and great depth. Nexus 5 wallpaper: Nexus 5 is one of most sought after device. Google has packed some awesome wallpaper for it. Moto G Stock wallpaper: Motorola has recently launched a budget Stock Android phone Moto G and it had some simple yet colorful wallpapers. Samsung Galaxy Note Pro 12.2 Wallpaper: If you are searching wallpapers for Tablet then Note Pro came loaded with most awesome and professional designed wallpapers. Nexus 7 2013 Kit Kat wallpapers: Nexus 7 2013 had some simple and great piece of graphics as wallpaper. 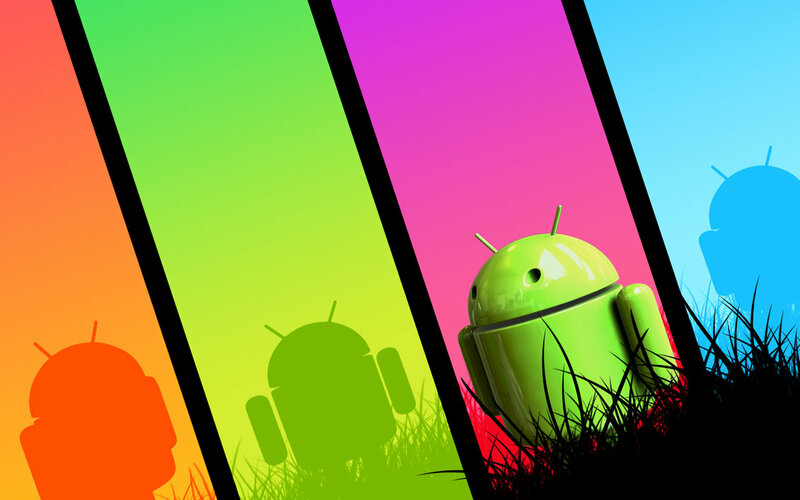 Android L Wallpapers: Android L is the latest operating system avatar from Google Android. This time, they have not named it on any desert. There are lots of features and advancements. 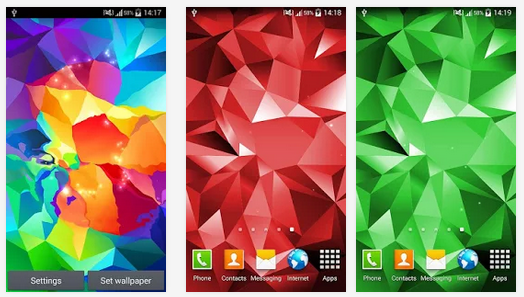 Android L wallpapers are colorful and interesting. Previous Post« Previous What is Xposed Framework? How to Install and use it? Best Modules list!